Try these liver loving foods that you can eat or drink to cleanse the body and increase your metabolism. They aid in the absorption of calcium and also help repair and rebuild bone, cartilage and connective tissue. They protect us against the effects of radiation and pollution. Not only do they accomplish these tasks, but these liver loving foods help disinfect the blood, resist bacteria, and stimulate bile secretion. 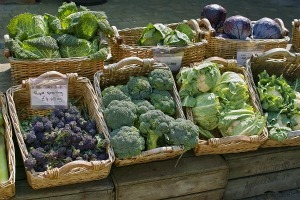 They possess powerful antioxidants which help eliminate toxins. 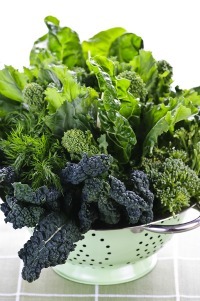 These green leafy vegetables are super abundant in nutrients, vitamins, minerals, chlorophyll and help purify the blood. They also stimulate digestive juices and support liver function and bile secretion. Though all the foods listed above are extremely important for liver function the ones below really top the list of liver loving foods. Lemons, beets, artichokes, asparagus, celery, dandelion root tea, pomegranates, spinach. Lemons – Not only are they loaded with vitamin C, they are one of the most powerful foods to stimulate the digestive system and help cleanse and activate the liver. 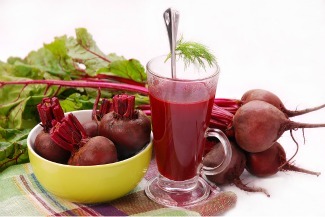 Beets – super nutritious and one of the best food you can eat to naturally detoxify the liver. One main nutrient is betaine which has been shown to protect internal organs and enhance performance. Artichokes – This vegetable is definitely high on the list of liver loving foods. Artichokes contain cynarin which is an important chemical that stimulates digestion and protects liver tissue. They also promote adequate bile flow to maintain healthy digestion. They are loaded with antioxidants and rich in magnesium, which enhances thyroid function and boosts our metabolism. Asparagus- Loaded with vitamins and minerals. Helps keep the liver healthy by protecting it against the effects of harmful toxins and alcohol. Celery- Contains balanced minerals, vitamins, nutrients and essential oils. They are super low in calories and high in fiber. These oils help regulate the nervous system and have a calming influence. Helps digestion and stimulates the liver. Dandelion Root Tea – Stimulates the production of bile which enhances liver function and helps cleanse the liver and kidneys. It is a great detoxifier. Nutritional Yeast – Provides nutrient minerals, selenium and potassium. It is also a source of complete protein and is known to have extraordinarily high levels of B vitamins which helps the liver eliminate toxins. Pomegranates - This fruit is an amazing antioxidant which promotes a healthy immune system and disease fighting qualities. Spinach - This green leafy vegetables contains buckets of antioxidants, vitamins and minerals. A winner any time. Before starting any kind of liver detox plan, it is important to prepare your body. Try some of the following suggestions to incorporate liver loving foods into your diet. The more of these healthy foods you eat or drink helps prepare your body; it is like a mini detox. Forget the coffee and kick start your day with a glass of lemon water. Just add the juice of ½ a lemon into a glass of distilled water (or water of your choice). Add a dash of cayenne pepper (optional). This will really get your digestive juices going and helps clean and activate the liver. Drink warm or at room temperature. Push all vegetables through your juicer to make this delicious and nutritious drink. This glass of juice is a nice snack between meal times and really curbs the appetite. Here are some juicing recipes to get you started. Start using foods from the 4 groups listed above. Choose one food from every group listed above and incorporate a serving of them into your daily diet. Everyday you can choose something different if you wish. It doesn’t matter if you choose to eat them raw or cooked. This is just an exercise to help you start incorporating more liver loving foods into your diet. As we know, improving liver function achieves more than just weight loss; it improves your health and cleanses your body, mind and spirit.